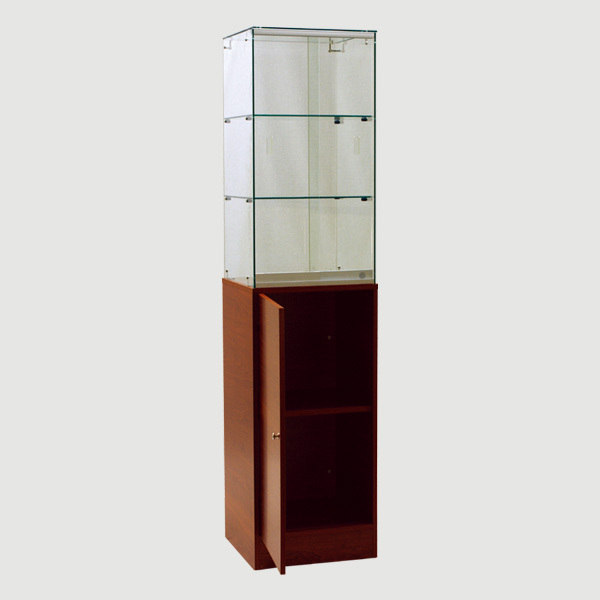 This tower display case is a great addition to any retail space. The frameless structure creates a sleek and professional look. There is a durable laminate surface on this display case. The glass shelving is highly durable and easy to clean. All of the glass on this tower display case has been tempered for added stability and safety. The large display area is perfect for letting the maximum amount of ambient light into the display case and giving your customers the easiest browsing experience.